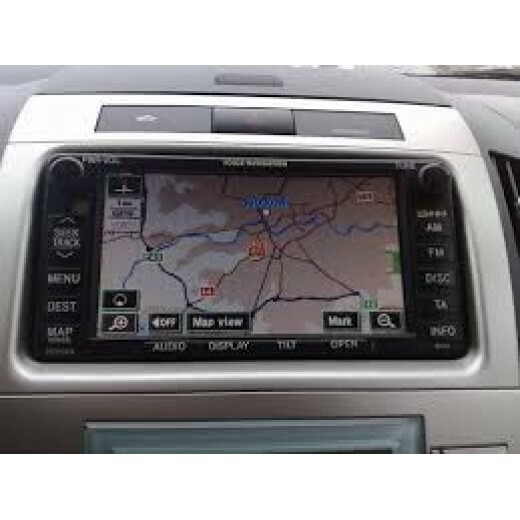 For navigation systems TNS 600/700, touchscreen navigation devices, generations 3 and 5 of TOYOTA from manufacturing year 2003 on. Andorra, Belgium, Corsica, France, Ireland, Italy, Lichtenstein, Luxembourg, Monaco,Netherlands, Portugal, SanMarino, Sardinia, Sicily, Spain, Switzerland, United Kingdom,VaticanCity. Austria, Belgium, France, Germany, Italy, Lichtenstein, Luxembourg, Monaco, Netherlands, San Marino, Sicily, Switzerland, Vatican-City. Austria, Belgium, CzechRepublik, Denmark, Estonia, Finland, Germany, Greece, Latvia, Lichtenstein, Lithuania, Luxembourg, Netherlands, Norway, Poland, Slovakia-Republik, Sweden,Switzerland. If your sat nav navigation is more then a year old it may be time to update. If you decide to buy the new TOYOTA Navigation Update on DVD you will benefit from not only all the latest changes to the road network since you last updated, but also thousands of Points of Interest files (POIs) which offer you interesting and useful places to visit on your journey. The POIs are updated with each new release of theTOYOTA GPS Update Disc and include items such as ATM locations, business addresses, shopping malls, hospitals, restaurants, and tourist attractions – all of which can be navigated to at the touch of a button. The POI database is fully searchable and you can find an item whilst on route as the TOYOTA GPS will display all the destinations that are nearest to your current location. Great to have everything updated again. It now knows the new bypass around our town, so that will cut down on travel time. Had to disconnect the battery to install the software update, which makes the images look better. Great product! TOYOTA Navigation DVD Europe 2017-2018 Version 2.0 NEW for 2018!!! Version E1G&nbs.. NEWEST 2017 MERCEDES NTG2 V18.0 SAT NAV UPDATE MAP DVD Mercedes navigation disc comman..